The Log Cabin Block: Mummy’s the Word? I was looking at a quilt I made for an exhibition I took part in, for an MQX show many years back. It’s a Log Cabin quilt. I realized that all I knew about the block was that I’d always heard the center was red to symbolize the fire in the hearth of the cabin. So, I looked it up and found a nice article on Womenfolk.com that talks about the Log Cabin design. Turns out, they might have a much longer history than pioneer days even! In the early part of the 19th century the British found thousands of small animal mummies when they began to open pillage the tombs in Egypt. The linens wrapping the small animals were wrapped in had the log cabin design on them. Sadly, a huge number of these mummies were sent back to England where they were distributed to farmers to use as fertilizer. (When you wonder why we are now slaves to our cats, I think information sheds *cough* some light on the situation. Pun fully intended.) 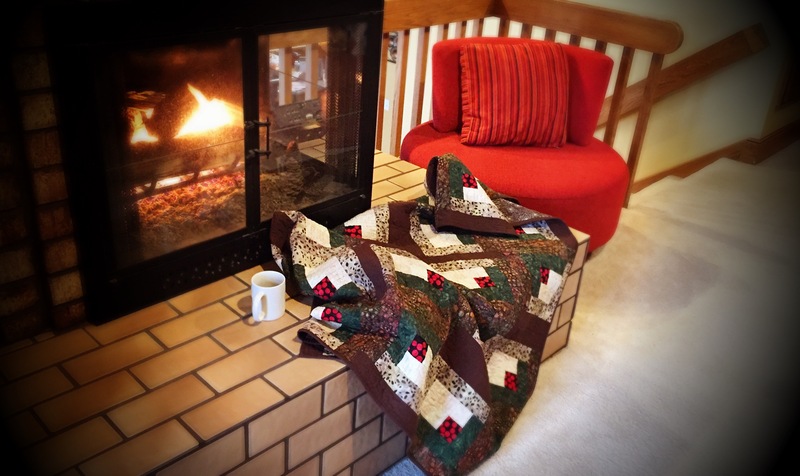 The article points out that perhaps this is how the log cabin design initially came to be in our collective knowledge for quilts. There are a couple other theories too, but I really want to just believe and go with the cat version. But then, I am a crazy cat lady.